Students and faculty from the University of Scranton, Marquette University and William Carey University in Guatemala. 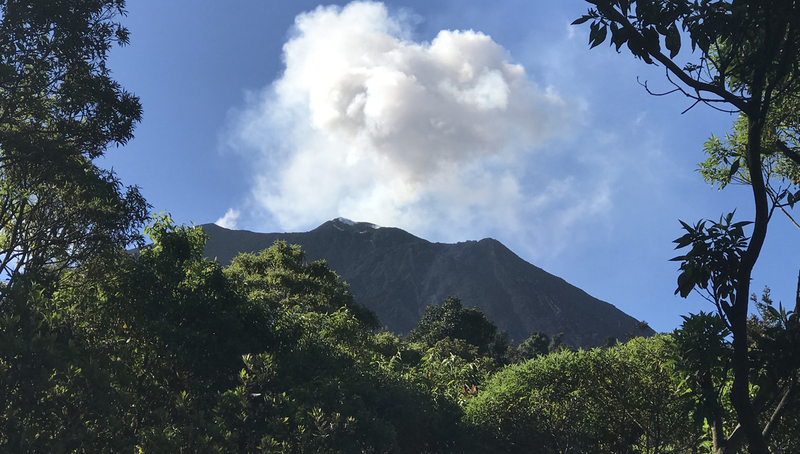 Dr. Janette Scardillo led a service trip from Jan. 4 to Jan. 13, 2019, to Zacapa, Guatemala and other small towns in the area. We talked to her about her experience. Describe your experience and what kind of service you did. While in Guatemala we provided physical therapy services to the underserved population of various towns or pueblos. Services were provided both in local PT clinics as well as in various pop-up clinic settings. 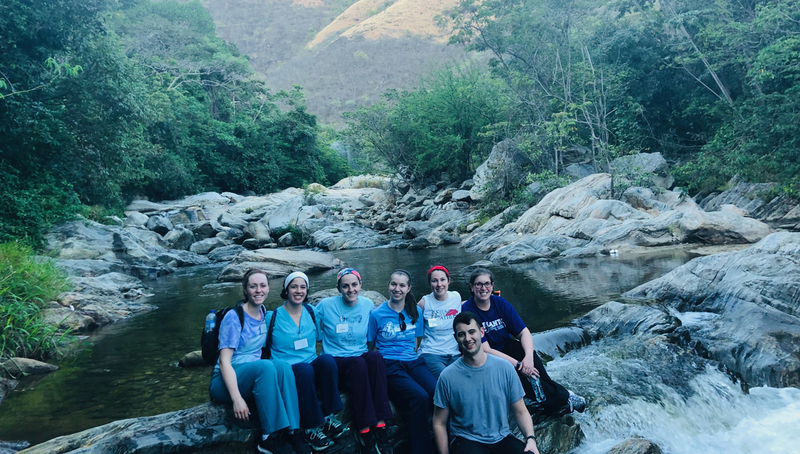 The trip included students and faculty from the University of Scranton, Marquette University, as well as William Carey University PT programs. 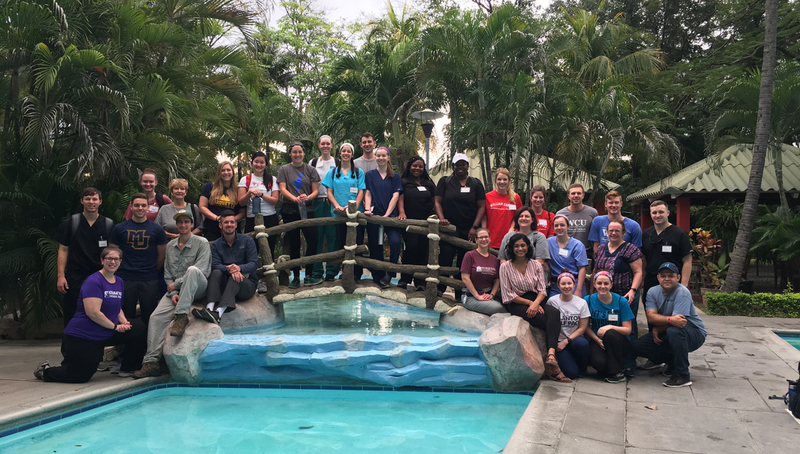 We worked with the organization Hearts in Motion who provides full-time PT services in Guatemala as well as provides service opportunities for multiple universities nationally. heartsinmotion.org. What inspired you to lead a service trip? 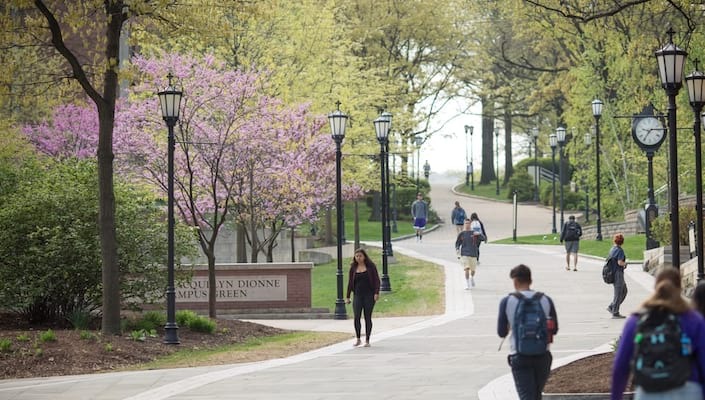 When I was a student at The University of Scranton, I participated in many different service opportunities and loved the experience, both of caring and helping others, but also learning about the human experience. I was previously a professor at another physical therapy program and service was not something that was a high priority. I decided that my path needed to lead me back to Scranton so that I could be more involved in service both domestic and international. And when this opportunity came up, I jumped on it! My biggest take away from this experience was seeing the smiles and gratefulness on every face that we treated. It was also an honor to work alongside my students while they served others! All students and faculty from all three schools worked so well together and really became a family by the end of the trip. What advice would you give to students interested in participating in a service trip? Simply go for it! Get out of your comfort zone! The service experiences that I have done whether when I was in college or now are never something I look back on with regret. Each one has made me into the person I am today. Do you think you'll continue to serve in some way? I will never stop providing service. I feel that to be able to serve others is a gift that we all have to give. Read the student perspective here. Dr. Scardillo and university students who participated in the Guatemala service trip. 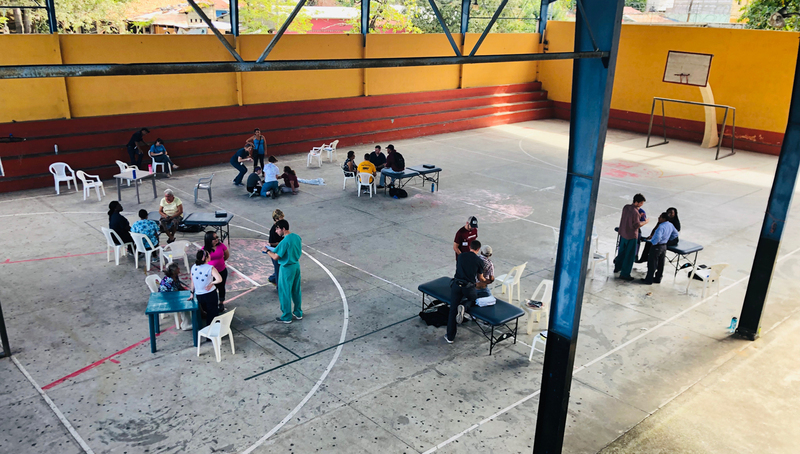 Pop-up clinic in Huité, Guatemala. 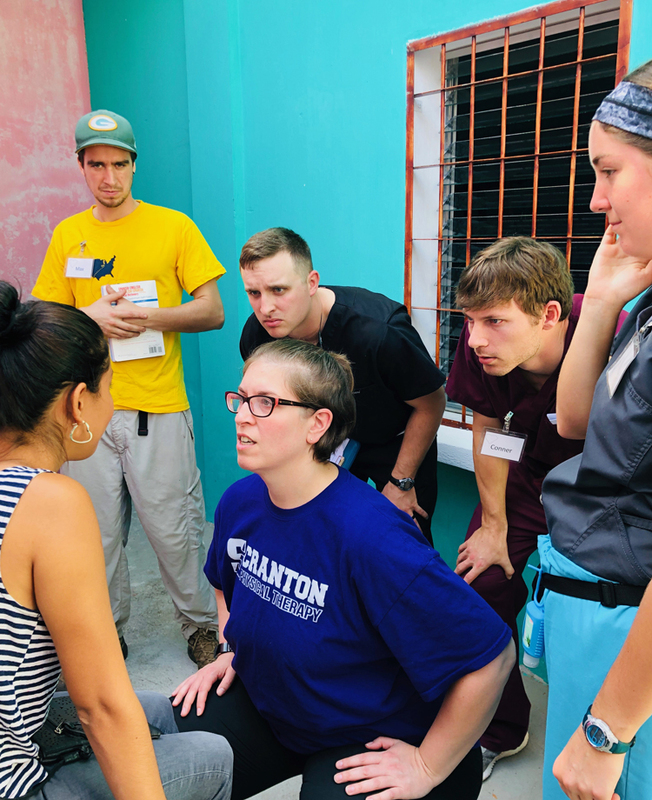 Faculty member Dr. Janette Scardillo performing a vestibular PT examination on a patient with students from Marquette University and William Carey University. Dr. Scardillo is a member of the DPT Faculty and PT Alumni ’05, ’06, ‘09.